From the moment I received Haley's email requesting me to photograph their wedding and chatting via FaceTime I knew Haley and Zach would be a blast to photograph and that they were. 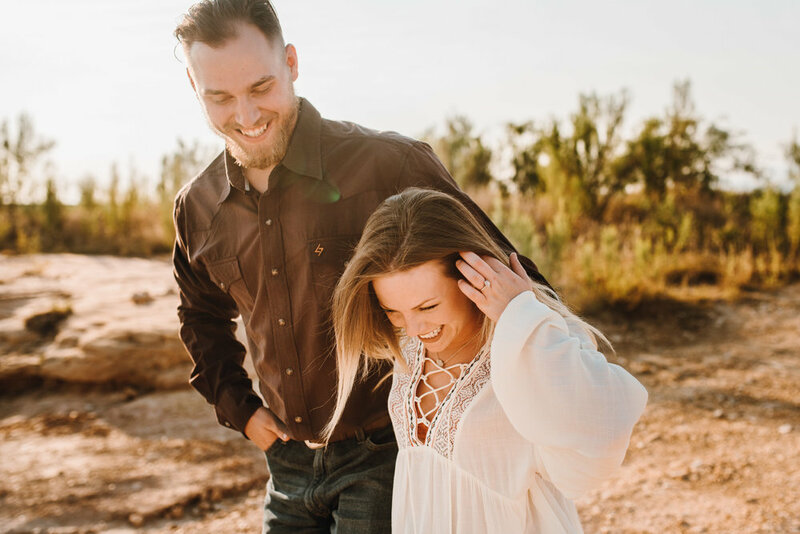 We ended up shooting their engagement photos out at Twin Buttes Reservoir out in San Angelo, Texas. Getting these guys to smile and laugh naturally was easy and completely made my "job" that much easier! I'm stoked and get can't wait for their wedding later this year in October. Behind the scenes video is below and below that are my favorite shots from the shoot.